It’s never been this easy to donate online. Elefunds, launched in 2012 and led by Tim Wellmanns, is a social impact enterprise that revolutionizes the way we raise funds digitally. 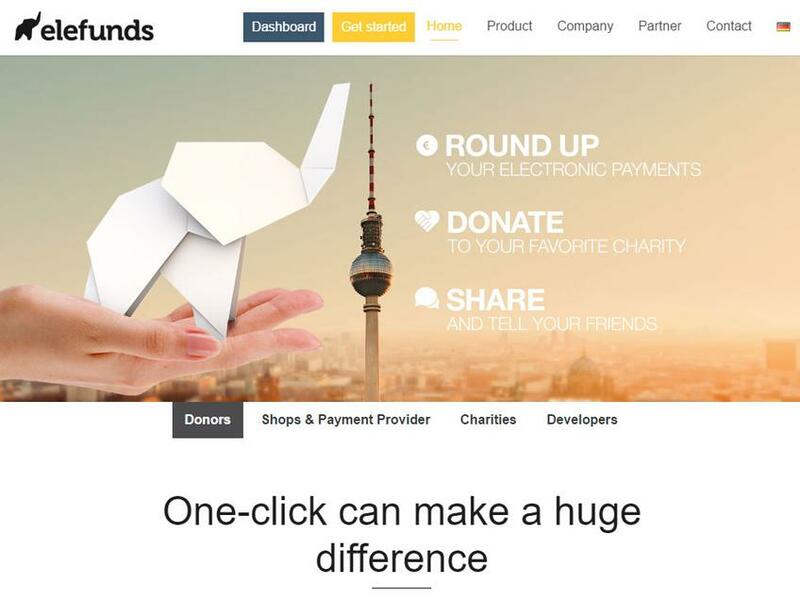 elefunds provides uniquely fundraising as a service and offers to round up all types of electronic payments to donate by giving change to the charities you love. elefunds provides its powerful service to people, companies and charities to easily activate, give and receive donations.